If you are about to move home then you wouldn‘t have selected the first address you lay your eyes on because it has to match all of your specifications. It has to be the right size, style and be in a good area, so it will take a while before you find something perfect. You can be so caught up in the search that you can find yourself overlooking the work that is necessary for a move. You should be considering a schedule and plan, buying all the packing material you need and looking into storage and transportation. You can be so wrapped up in finding the home right for you and the excitement that comes with it once found that you are not prepared for the move. A home or office transitions takes a lot of effort and so you can have many problems if you are not ready. Help is at hand though if you are moving in South West London because we at Removal To can provide you with a man with a van when you call us on 020 8746 4418..
A Man and Van service may sound underwhelming when you consider what has to be done or your transition but you will soon see differently. When you contact us, our staff will answer, and be eager to tell you about the moving process and what we can do for you. They will answer your questions, give advice and provide all the information you could need. We will tell you about the services we offer and you can determine which would be most useful. 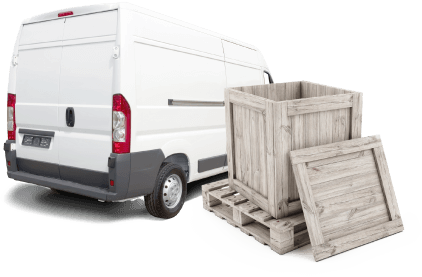 We offer a flexible removal service so you can get exactly what you desire, especially when we offer a free quote. This assessment will ensure you get what you need and for a great price, with the added advantage of it not needing any commitment. All of our services are carried out by professionals so there should be no doubt that the job will be handled well. Our team of movers are experienced, knowledgeable and trustworthy, so you can rest easy inviting them into your home because you know they will be working hard. They can carry out all of your packing, using the best materials so that each object will be safe and easy to carry. They will have the strength to shift heavy furniture through buildings and get it where it is needed. They can drive things all over South West London and get your effects to your address on time. They can do this and more so find out more about our man with a van services by calling 020 8746 4418. South West London is one of the five main regions of London and is home for over 1.5 million people, with 700,000 commuting here each week. There is a wide assortment of house types here, with hoses in various price ranges. It is a diverse place and sport is very popular, especially with the annual Wimbledon Tennis tournament being held here. You can catch the event every summer and visit the museum dedicated to it all year around. Chesington world of Adventures is a local resort in the area that is popular with families and contains a theme park and zoo. Kew Palace in Kew Gardens is also a popular spot, as are the National Archives, Fairfields Hall music venue, Coronation Stone, Royal Hampton Court Palace, the Rose Theatre and Battersea Art Centre. Selecting a new home should be your main priority, so call us and leave the hard work to Removal To and a man with a van in South West London.